The most complete list of every blockchain and cryptocurrency meetup in Boston with ratings! Our custom Bitcoin Market Journal Score is calculated by the number of members, user rating, and activity level. Use it as a guide for which meetups to attend in 2019. Boston Hyperledger Boston Hyperledger is an open source collaborative effort created to advance cross-industry blockchain technologies. It is a global collaboration, hosted by The Linux Foundation, including leaders in finance, banking, Internet of Things, supply chains, manufacturing and technology. Cambridge Autoblock AutoBlock provides blockchain solutions for the supply chain industry. They cater to the pharma, food, retail, fashion and other industries. 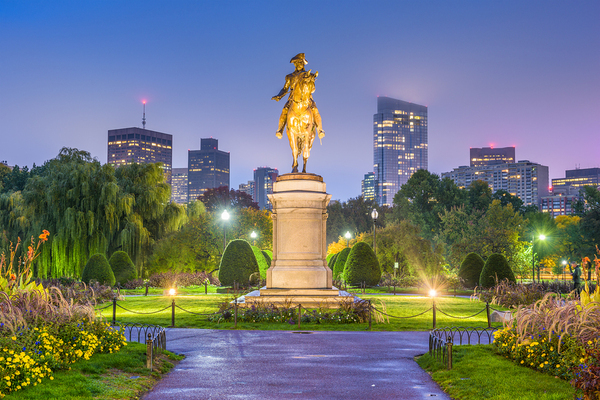 Boston Boston AI Tech Talks Group The Boston AI Tech Talks Meetup Group is excited to bring you the latest and practical technology on AI, machine learning, deep learning, data science and big data. Boston Boston Blockchain Network Boston Blockchain Network is a group of 1,700+ experts, founders, developers and other business professionals interested in learning, discussing and keeping updated about blockchain, which will transform many industries over the coming years. Boston Blockchain Investors Supergroup Are you interested in investing in the blockchain and cryptocurrency space? Whether you're a traditional investor, seasoned trader or just crypto-curious, come join the smartest brains in Boston. We'll discuss new blockchain investing opportunities, share our knowledge and learn from each other. Boston Boston Blockchain Association Presents "Boston Blockchain Association is Boston's #1 professional organization for the blockchain industry. Whether you're a blockchain executive, entrepreneur, freelancer, student, or just plain curious, the Boston Blockchain Association is a collaborative community of lifelong learners who are committed to helping each other, improving the world, and pushing blockchain forward. 1. Establishing Greater Boston as an international hub for blockchain innovation. 2. Supporting, educating, promoting, and advancing blockchain technology. Keep up to date with everything happening in the blockchain space by subscribing to Bitcoin Market Journal.